​Professor Koh Tian Hai is Senior Advisor and Senior Consultant, Department of Cardiology, National Heart Centre Singapore. His sub-specialty interest is in interventional cardiology. 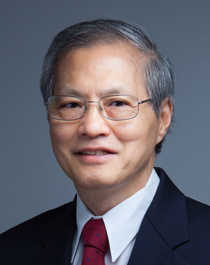 Prof Koh has extensive experience in interventional techniques, including the use of atherectomy and valvuloplasty procedures with a special interest in acute myocardial infarction interventions. ​Professor Koh graduated with his Bachelor of Medicine and Surgery in 1976, and his Master of Medicine (Internal Medicine) in 1982 from the National University of Singapore. Prof Koh is the course director for the Singapore LIVE Course since 2003. This flagship event of NHCS, is an international cardiology conference showcasing the latest interventional techniques in cardiac and peripheral procedures. The Singapore LIVE Course attracts a large number of medical professionals from Singapore and around the world, year after year. Prof Koh is also a faculty member for most major Asia-Pacific interventional meetings, regularly delivering lectures and/or performing live angioplasty demonstrations in countries such as Malaysia, Indonesia, Myanmar, Vietnam, India, Hong Kong, Taiwan, China, South Korea, Japan and Australia. He is also a Professor at the Duke-NUS Medical School.